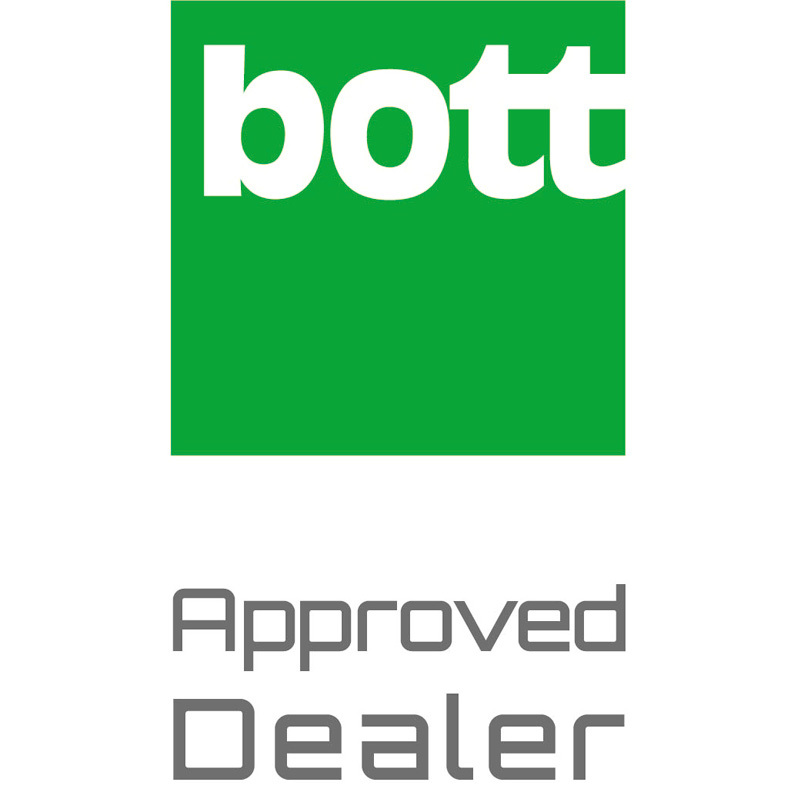 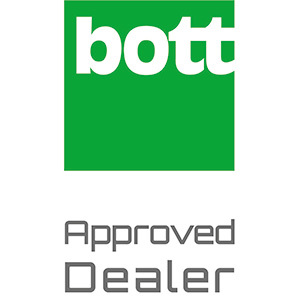 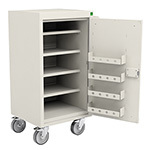 The BOTT Mobile Drug Cabinets are independently FIRA tested to meet BS2881: 2989 (security level one) Specification for cupboards for the storage of medicines in Health Care Premises. 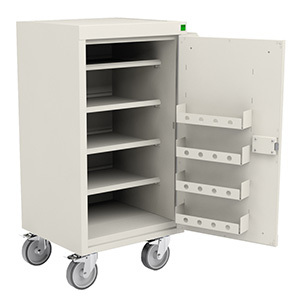 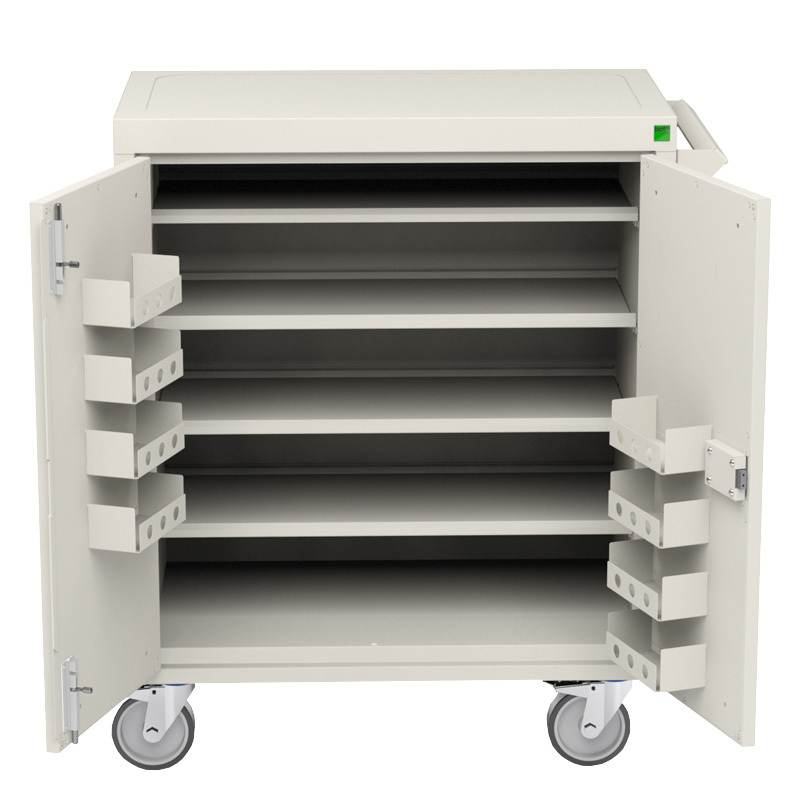 These cabinets are mounted on four 100mm diameter castors and feature a push/pull handle making them very easy to move around whilst on rounds. 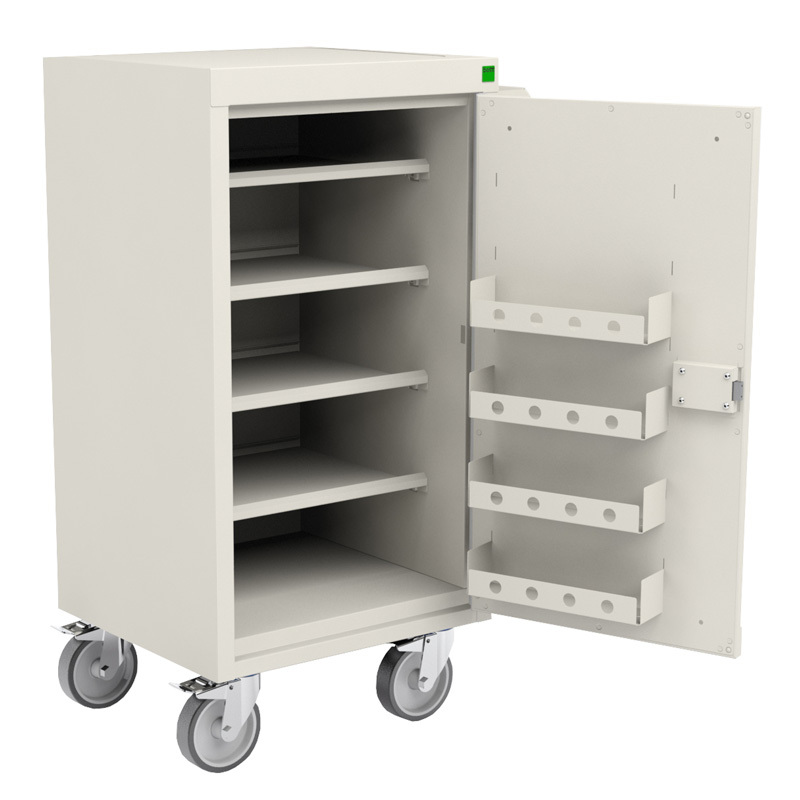 All shelves and door trays are removable for ease of cleaning, and the unit is finished in a white anti-bacterial paint.